Dubbed the “gender equality paradox”, the research found that countries such as Albania and Algeria have a greater percentage of women amongst their STEM graduates than countries lauded for their high levels of gender equality, such as Finland, Norway and Sweden. The researchers, from Leeds Beckett University and the University of Missouri, believe this might be because countries with less gender equality often have little welfare support, making the choice of a relatively high-paid STEM career more attractive. 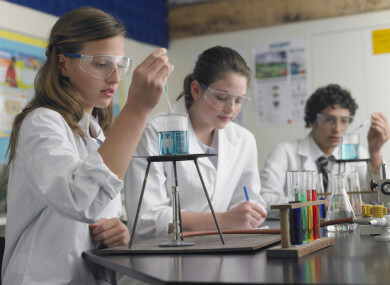 The study, published in Psychological Science, also examined what motivates girls and boys to study STEM subjects, including overall ability, interest or enjoyment in the subject and whether science subjects were a personal academic strength. The researchers used data on 475,000 teenagers across 67 countries or regions for the study. They found that while boys’ and girls’ achievements in STEM subjects were broadly similar, science was more likely to be boys’ best subject. Girls, even with their ability in science equalled or excelled that of boys, were often likely to be better overall in reading comprehensions, which relates to higher ability in non-STEM subjects. Professor of psychology Gijsbert Stoet said this could explain some of the gender disparity in STEM participation. “The further you get in secondary and then higher education, the more subjects you need to drop until you end with just one. We are inclined to choose what we are best at and also enjoy. This makes sense and matches common school advice. So, even though girls can match boys in terms of how well they do at science and mathematics in school, if those aren’t their best subjects and they are less interested in them, then they’re less likely to choose to study something else. The researchers then looked at how many girls might be expected to choose to further study in STEM-based areas on these criteria. They took the number of girls in each country who had the necessary ability in STEM, and for whom it was also their best subject, and compared this to the number of women graduating in STEM. The results show that there is a disparity in all countries, but with the gap once again larger in more gender equal countries. In the UK, 29% of STEM graduates are female, whereas 48% of UK girls might be expected to take those subjects based on science ability alone. This drops to 39% when both science ability and interest in the subject are taken into account. “Although countries with greater gender equality tend to be those where women are actively encouraged to participate in STEM, they lose more girls from an academic STEM track who might otherwise choose it, based on their personal academic strengths,” Co-researcher professor David Geary said. Countries with higher gender equality tend also to be welfare states, providing a high level of social security for their citizens, compared to those with lower gender equality which tend to have less secure and more difficult living conditions. Using the UNESCO overall life satisfaction figures as a proxy for economic opportunity and hardship, the researchers found that in more gender equal countries, overall life satisfaction was higher. STEM careers are generally secure and well-paid but the risks of not following such a path can vary. In more affluent counties, where any choice of career feels relatively safe, women may feel able to make choices based on non-economic factors. Conversely, in counties with fewer economic opportunities, or where employment might be precarious, a well-paid and relatively secure STEM career can be more attractive to women. Despite extensive efforts to increase participation of women in STEM, levels have remained broadly stable for decades, but these findings could help target interventions to make them more effective, the researchers said. “It’s important to take into account that girls are choosing not to study STEM for what they feel are valid reasons, so campaigns that target all girls may be a waste of energy and resources,” Professor Stoet said. “If governments want to increase women’s participation in STEM, a more effective strategy might be to target the girls who are clearly being lost from the STEM pathway – those for whom science and maths are their best subjects and who enjoy it but still don’t choose it,” he said. Email “'A gender equality paradox': Countries with more gender equality have fewer female STEM grads”. Feedback on “'A gender equality paradox': Countries with more gender equality have fewer female STEM grads”.